Two weeks ago I decided to try french tips but with a twist. I’ve been looking at tutorials online for doing french tips and found two ways to do it. One is through the tape method where you put some transparent tape over the rest of the (already polished nail) before polishing the tips with white. The other is just freehanding the white tips. I decided I didn’t really want white tips, so I chose a different color combination. 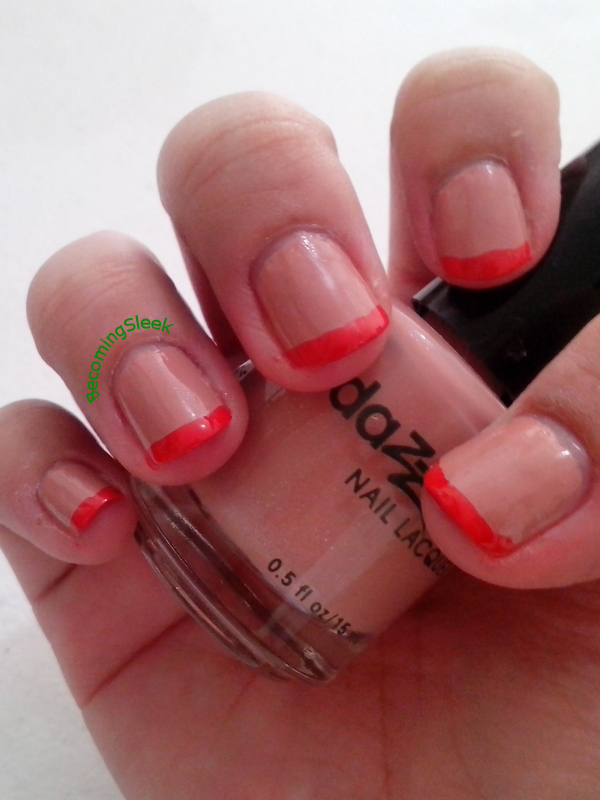 For this lesson I used Dazzle Dry Love’s Secret for the base color and Electrifying for the tips. 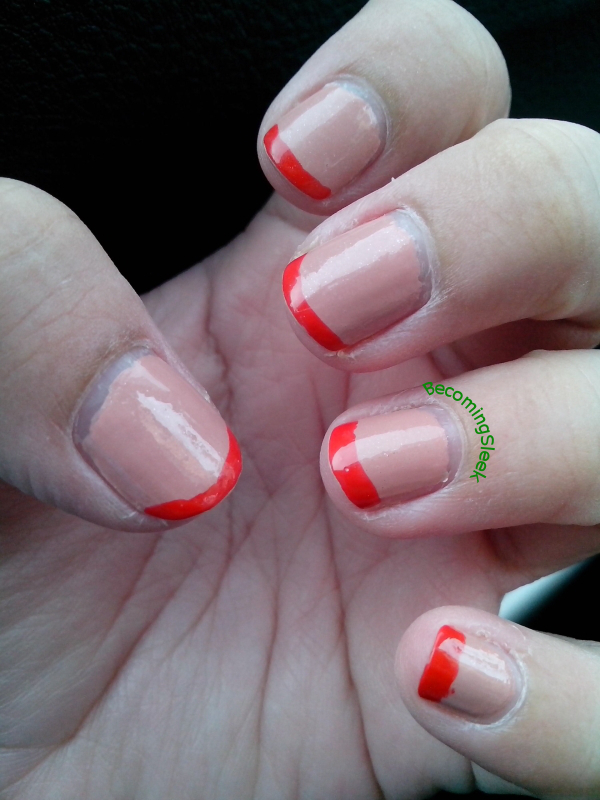 After putting the base color on all of my nails, I first attempted to do the tape method on my ring finger. Alas it didn’t work. Not only did the tape not able to completely shield the base color (the tip color bled onto the seams), but the tape was also too sticky and took away the base color when I lifted it up! I had to resort to the second method, which is freehanding the tips. 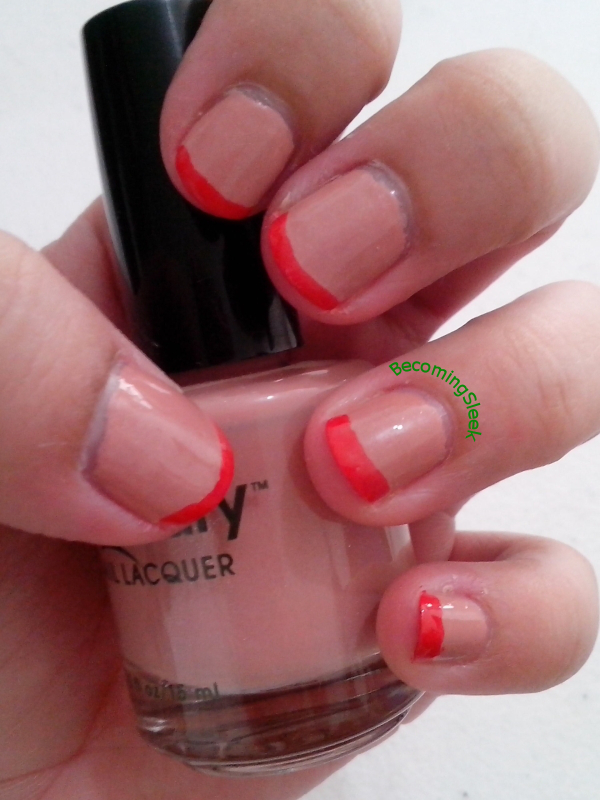 After redoing that ring finger, I slowly drew the line at the tip using the actual polish brush. It wasn’t that bad. Since Electrifying is quite pigmented, one layer on the tip was more than enough and I didn’t need to go over the same line twice. 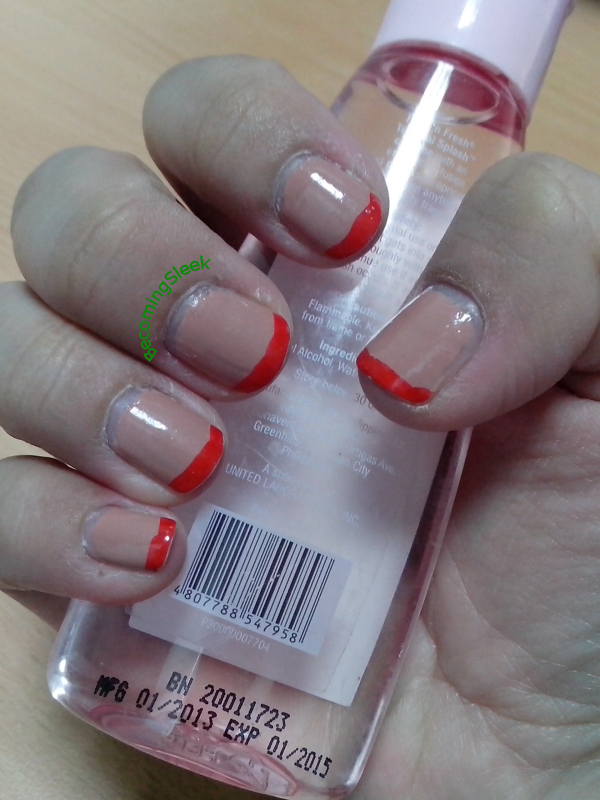 After doing all the tips, I applied the Top Coat. Check out how it looked (the last one is an outdoor shot). Not bad for a first-time french tip! The only drawback to the freehand method is that the polish extended onto the skin behind the nails, and I had to do a lot of cleanup with polish remover afterwards. The strange thing is that for some reason, my right hand looked better (applied by non-dominant left). 1. French tips would be better for longer nails. 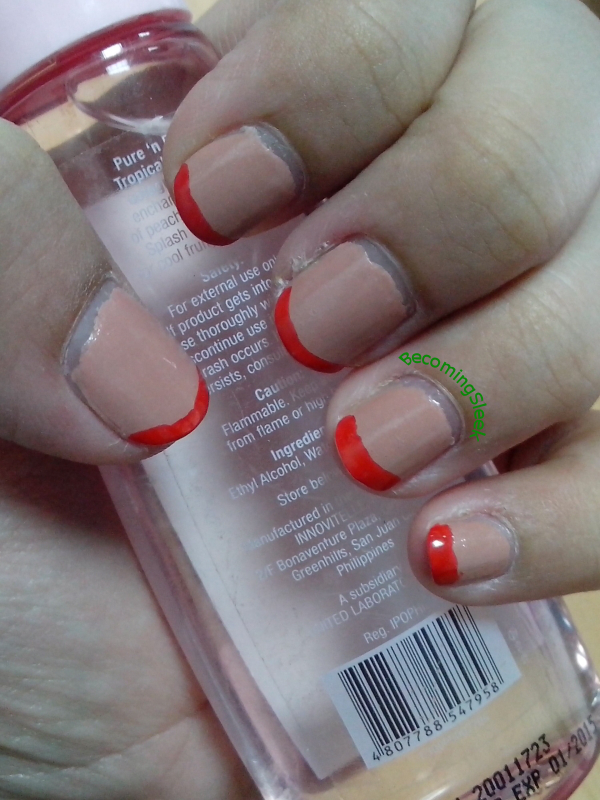 The longer the better, to prevent the freehand-applied tip from bleeding onto the skin behind the nails. 2. Red tips might be a bit alarming. My husband thought that I had wounded fingertips! How do you do your french tips? Can you give me tips (hee hee) in the comments? I’ve heard of that too! I’ll go pick some up the next time I’m at a bookstore. I really do want to explore a better french manicure than what I did here. Thanks for the tips! Pattyyyy! There are Sally Hansen kits with sticker guides for uber neat tips 🙂 But if you want to save up, you could use tape, it works too. Yeah that’s what I did for the right hand. It’s better if the brush is thin so that it won’t stain the back skin. I did try the tape but it didn’t work. :/ I’ll look up the Sally Hansen guide, thanks!